Neutering is the cat's whiskers! On the back page of the Autumn / Winter 2011 Mountain Views we included an article on the Highland Tiger project that has been set up to conserve the Scottish Wildcat. As described, one of their actions is a neutering programme of feral cats. When we contacted them for an update they advised that the severe winter weather had held things up. Whilst they are still interested more volunteers, with contact details at end of the article, they gave us with the following article to separate neutering fact from myth. 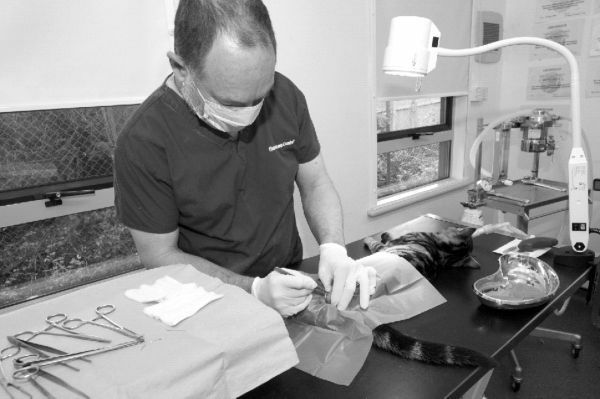 Strathspey branch of Cats Protection issued sixty-four neutering vouchers in 2010, to help people on limited income to get their cats neutered. However cat owners may be put off having their felines neutered because of persistent myths about the procedure, despite a wealth of evidence proving its benefits. In an attempt to reassure owners that neutering is safe, simple - and actually makes cats healthier - Cats Protection has compiled a list of neutering facts. FACT: There is no evidence to support this theory. Many owners think it is cruel to deny cats the chance to reproduce, but actually cats have no concept of "broodiness" or have any emotional need to be a parent. FACT: Neutering is a straight-forward procedure that is carried out under a general anaesthetic by a veterinary surgeon. Although there is a risk with any operation, most cats recover very quickly from this surgery. FACT: Evidence shows that neutered cats lead happier, healthier and safer lives. It reduces or removes the risk of some cancers, reduces wandering and fighting (and therefore the risk of injury) and stops tomcats from spraying unpleasantly smelly urine. FACT: Whilst it is true that neutering causes a hormonal change which may make the cat more susceptible to put on weight, there is no reason why a cat which is fed a well-balanced diet should be fat. FACT: Considering the life-long benefits to your cat, the procedure is relatively cheap. Owners should expect to pay between £45 - £60 for a female cat and £25 - £40 for a male. Cats Protection offers financial assistance with the cost of neutering for anyone on a limited income. For more information, please contact Strathspey Branch on 0845 371 2725 or go to www.strathspey.cats.org.uk. FACT: Neutering only changes behaviour related to reproduction, such as fighting, calling and spraying. It does not affect a cat's ability or willingness to hunt or its friendliness.